Last call for existing member registrations! EXISTING MEMBERS, DON'T FORGET TO REGISTER! Registrations for existing members close tomorrow, Friday 11 January 2019, at 9pm. From the 12th the Club will be offering vacant places to those on the waitlist. Register now so that you don't miss out! Read more on our Registration page. 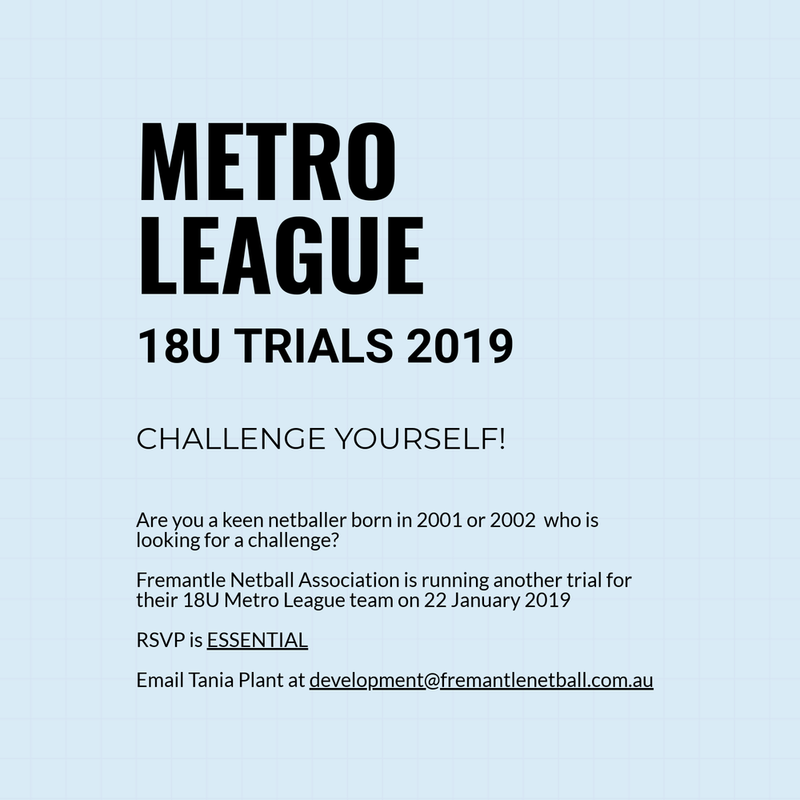 Metro League 18U team trial!